Children's novelist who penned the popular Horrid Henry book series. 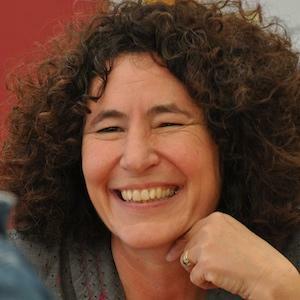 Her more than twenty Horrid Henry titles include Horrid Henry Tricks the Tooth Fairy and Horrid Henry's Stinkbomb. She attended both Yale University and Oxford University, majoring in Old English and Medieval studies. She published her first Horrid Henry book in 1994. She won The Children's Book of the Year Award in 2008 for Horrid Henry and the Abominable Snowman. She was born in Missouri and raised in California as the daughter of playwright Mayo Simon. She later settled in London, England with her husband, Martin, and the couple's son, Joshua. She won the Children's Book of the Year award one year before Stephenie Meyer earned the same honor.